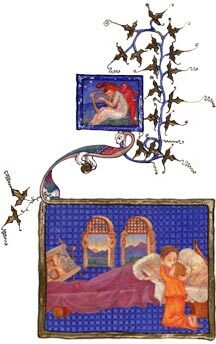 The 'Sonnets from the Portuguese' manuscript was made for Phoebe Anna Traquair's brother, William Richardson Moss (1845-1915). Moss was a Lancashire cotton manufacturer who commissioned a number of other significant art works from her, including an illuminated copy (1898-1902) of Dante Gabriel Rossetti's 'The House of Life', a painted ceiling decoration (1893-1894) for his house, Burnthwaite, near Bolton, and two fine enamelled caskets (1906-1907). On his death the manuscript passed to his son William Ernest Moss (1876-1953). His notable library, partly inspired by his aunt, included many works by the artist-poet William Blake, as well as important French, English and Persian manuscripts and finely printed Arts and Crafts books. 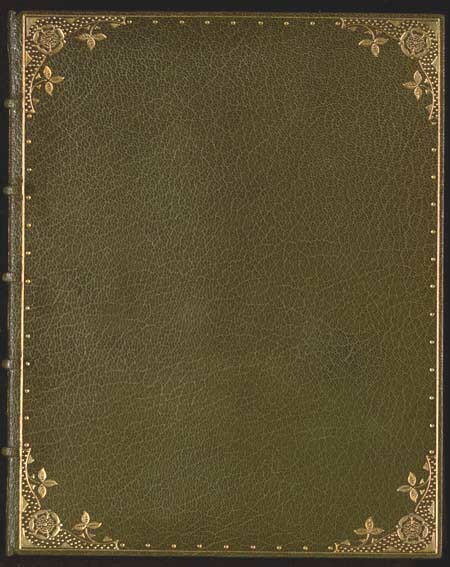 On completion, in 1897, 'Sonnets from the Portuguese' was sent to London to be bound by the Doves Bindery in green calf, tooled and gilded, to a design by Thomas Cobden Sanderson.